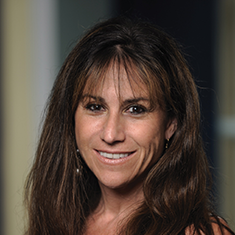 This week, Real World Health Care brings you an interview with Lori Wiener, PhD, DCSW, LCSW-C, Co-Director, Behavioral Health Core and Director, Psychosocial Support and Research Program, Pediatric Oncology Branch, Center for Cancer Research, National Cancer Institute. We asked Dr. Wiener to talk about psychosocial problems facing children with cancer and their families and how the Center for Cancer Research is addressing their needs through studies and other resources. Real World Health Care: Tell us about the mission and goals of the Psychosocial Support and Research Program at the Center for Cancer Research. Lori Wiener: The mission and goals of the pediatric psychosocial support and research program at the Center for Cancer Research are to: 1) conduct studies and develop new measures to identify the psychosocial effects of cancer and other chronic illnesses in patients participating in clinical trials and protocols; 2) provide and evaluate clinical interventions and educational services developed to help patients and their families prepare for and cope with the effects of cancer and other related medical conditions; and 3) to disseminate research findings beyond the NIH and demonstrate leadership in the field of psychosocial effects of chronic illness. RWHC: How did you become interested in the field of psychosocial care for cancer patients? LW: I began my training working with children and their family members in a community center in upstate New York and continued my training and work with children and families in outpatient mental health, residential treatment and private practice settings. I felt compelled to find more meaning in my work and accepted a position at Memorial Sloan Kettering Center (MSKCC). It was at MSKCC where I learned about the field of psycho-oncology – and at the National Cancer Institute about the many facets that comprise excellent psychosocial care for children and adolescents living with cancer and their family members. I have witnessed, over and over again, the impact of serious disease on the child, adolescent, and young adult and concurrently, the impact of a serious childhood illness on the parents, siblings, grandparents, relatives, and the community of friends. It is an honor to do this work and I have been permanently moved by the love, devotion, tenacity, courage, strength, and compassion of children and families under extraordinary stress. RWHC: What are some of the biggest psychosocial problems facing both children with cancer and the parents and families of those children? LW: The diagnosis of cancer will have an immediate and potentially life-altering impact on the psychological, social, and emotional health of the entire family system. Following the immediate fear of questioning whether their child can survive the cancer diagnosis, families are tasked with learning complex medical terminology, exploring treatment options, rearranging work responsibilities, and re-prioritizing daily tasks. The child may experience painful or distressing treatments, procedures and side effects and adhering to therapy can be quite difficult. Caring for a child with cancer often requires time spent in the hospital away from home and work. Families often experience cumulative financial hardship from travel expenses, temporary housing, medications, and treatment copays that can accumulate. Efforts must be made to help children to maintain their academic achievement during cancer therapy. Being separated from their peers and social support can be challenging, especially as children will also experience changes in their physical appearance. Siblings of children undergoing cancer treatment are also exposed to significant stress as they are often separated from their family due to the geographic distance of the treatment center from home, resulting in decreased contact with family members and disruptions in their day-to-day routine while worrying about the health of their ill sibling. Grandparents also suffer. They observe the suffering of their grandchild, and also the suffering of the child’s parent having to go through such a challenging experience. If the sick child has a sibling, grandparents also worry about seeing their other grandchildren worry for their sibling and the consequences of the illness on their lives. Children who complete treatment for cancer are at risk of both medical and psychosocial late effects in survivorship. Continued monitoring of their health is essential. As their personal outlook may have been altered by their cancer experience or limitations due to cancer therapy, there might be changes to their life plans and goals. If there is a relapse, more treatment is needed with increased uncertainty about the future. If the child does not survive, families experience significant physical, emotional, social, and spiritual distress. Helping families cope with impact on lifestyle, education, employment, siblings, and family relationships all fall within the scope of psychosocial care. RWHC: How can all of those challenges be best addressed by both clinicians and the patients/families themselves? LW: Comprehensive psychosocial care begins with early assessment of family strengths and vulnerabilities and incorporates a range of therapeutic interventions, utilizing interdisciplinary resources to meet the needs of all family members. Interventions and strategies must be aimed at identifying the continuum of coping responses, building on family strengths, assisting families with special needs, and enhancing adaptive coping skills. Each of these are essential to facilitating both family growth and survival through the crises generated by childhood cancer and should continue throughout and beyond the course of the disease into survivorship or bereavement. Family centered care, having the child and parents be included as members of the treatment team, is essential. This requires an ongoing multidisciplinary approach to the psychosocial care of children and adolescents and their families. RWHC: Tell us about the Voicing My CHOiCES™ study you’re conducting. What are its goals? LW: Discussing end-of-life (EoL) care is very challenging for young adults (YA) living with a life-threatening disease. While many helpful documents exist to facilitate EoL conversations with adults, few resources exist to aid YA in understanding and accepting their changing physical, emotional and social needs when treatment is no longer effective. Between 2007-2011, our team explored the helpfulness of Five Wishes with adolescents and young adults living with HIV or advanced cancer. This research led to the development of a new advance care planning (ACP) guide, Voicing My CHOiCES™ (VMC). However, Voicing My CHOiCES™ had not been empirically examined in its completed form. The objectives of the current study are to determine the perceived helpfulness of VMC and to determine whether engaging in advanced care planning using VMC is associated with reduced anxiety, improved social support, increased acceptance of illness, and/or improved communication about ACP with family, friends, and/or health care providers. The study is open to participants ages 18 through 39 years living with cancer or another chronic illness. Each subject completes a baseline assessment of their anxiety pertaining to advance care planning, quality of social support, acceptance of illness, and quality of communication with family, friends and health care providers. Then they review Voicing My CHOiCES™, and comment on each section as to whether it can provide an opportunity to address ACP needs for themselves and for other YA their age living with a serious illness. At 1-month, we re-assess the utility of the document, anxiety, quality of social support, acceptance of illness, communication about EoL planning, and whether the patient participant has shared any of the work completed in the document with a family member, friend, or health care provider. If the participant had shared preferences that were documented in Voicing My CHOiCES™ with a family member or friend, and had consented for us to contact that person, we complete a brief interview with the family member or friend to assess the helpfulness and limitations of Voicing My CHOiCES™ for ACP. If the participant shared the ACP preferences that were documented in Voicing My CHOiCES™ with their health care provider and had consented for us to talk with that health care provider, a brief interview is conducted with their health care provider to assess the helpfulness and limitations of Voicing My CHOiCES™ for end-of-life planning and whether any changes in the participants’ health care were made in response to Voicing My CHOiCES™. RWHC: Are there any National Cancer Institute resources you’d like to highlight for clinicians, patients, families or support communities who would like to know more about pediatric psycho-oncology? LW: Standards for Psychosocial Care for Children with Cancer and Their Families details 15 evidence-based standards for pediatric psychosocial care. It was inspired and supported by the Mattie Miracle Cancer Foundation and was developed by pediatric oncology psychosocial professionals in collaboration with an interdisciplinary group of experts and stakeholders. ShopTalk is a therapeutic game designed to help therapists communicate with pediatric patients (ages 7-16) about difficult emotional issues. ShopTalk has 3 versions: 1) pediatric patients, 2) siblings, and 3) children whose parents have cancer. The game has been distributed throughout the US and in 14 countries. This is My World is a psychotherapeutic workbook for therapists working with children diagnosed with a chronic and a potentially life-threatening illness. Katie Finds Her Courage tells the story of a child who learns about having NF1 and demonstrates the courage she finds to share her diagnosis with her classmates. An online version is being considered. Abrams, A, Muriel, AC, Wiener, L. (Eds) Pediatric Psychosocial Oncology: Textbook for Multi-Disciplinary Care, Springer International Publishing Switzerland, 2016. Wiener, L, Pao, M, Kupst, MJ, Kazak, A, Patenaude, A, Arceci, R. (Eds).) Quick Reference for Pediatric Oncology Clinicians: The Psychiatric and Psychological Dimensions of Cancer Symptom Management, 2nd Edition. Oxford University Press, 2015.